blog home Military Defense Why Choose a Civilian Defense Attorney? 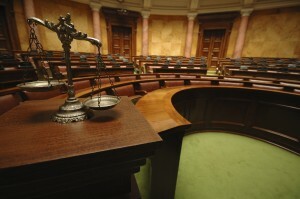 Why Choose a Civilian Defense Attorney? Civilian defense lawyers have time to devote to your case. The key to success in military defense cases is time. Having the time to investigate, plan, and prepare is crucial in building a vigorous defense that strives toward the best possible outcome. While your detailed Judge Advocate’s services are free, he or she may have dozens or even hundreds of other cases that need attention. As a military officer, your government attorney may also be responsible for training, completing performance reports, or fulfilling other duties – tasks your civilian attorney won’t have on his or her plate. Civilian defense lawyers have experience. Not all government attorneys have much experience in criminal defense. Many are fresh out of law school, while others handle primarily non-criminal matters. By contrast, civilian military defense attorneys have both the experience in criminal law and the experience in military matters to fully understand your needs and to meet them. Attorney Joseph H. Low IV, a former United States Marine himself, is devoted to defending the rights of soldiers everywhere. Call his office today at (562) 901-0840 for your military criminal defense needs.